The Brewer’s Hill neighborhood has experienced a cycle of prosperity, neglect, and renaissance. Brewer’s Hill is located to the north of DOWNTOWN between North Holton Street and North Dr. Martin Luther King Drive. 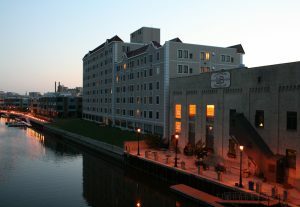 It stretches as far north as North Avenue, with the Milwaukee River making up its southern border.An industrial neighborhood from its development in the late nineteenth century, Brewer’s Hill became a bustling center of German immigrants, who were joined by an array of residents from other ethnic backgrounds. Brewer’s Hill was situated between a collection of factories and a busy retail corridor. The local housing stock includes both large mansions and smaller houses, reflecting its diverse residents. When it was platted in 1837, Brewer’s Hill was known as “Sherman’s Addition to Kilbourntown.” During the 19th century, factory owners often lived next door to their employees. The neighborhood’s close proximity to the Milwaukee River attracted a wide variety of industrial operations, including sawmills, flour mills, tanneries, and, of course, and the Schlitz Brewery at Third (now Martin Luther King) and Pleasant Street. Brewer’s Hill experienced physical decline between 1900 and the 1970s as many businesses left the area. Homes were demolished and other buildings were left abandoned. The remaining, less affluent residents invested less money in local properties. Storefronts and homes were torn down without replacement. Old homes were often left boarded-up and in disrepair. Roughly 700 homes were demolished between 1950 and 1970. The neighborhood’s larger homes were replaced with apartments and rooming houses. The once successful Schlitz Brewery was sold and closed in 1982. The population of the neighborhood also shifted. As the descendants of German immigrants began leaving, Brewer’s Hill became home to Hungarians, Eastern European Jews, and later, African Americans and Puerto Ricans. African Americans predominated. In 1950, the area was comprised of 9% African-Americans. By 1970, the area was 78% African-American. The African-American population built a strong neighborhood culture. One particularly noteworthy organization was Mt. Zion Missionary Baptist Church, which built an apartment complex for the elderly and expanded its school on Palmer Street. In the early 1970s, historic preservationists, dedicated community businesses, and churches primed the neighborhood for a wave of restoration. Ron Radke began the preservation movement in 1975 when he purchased a home on Palmer Street. 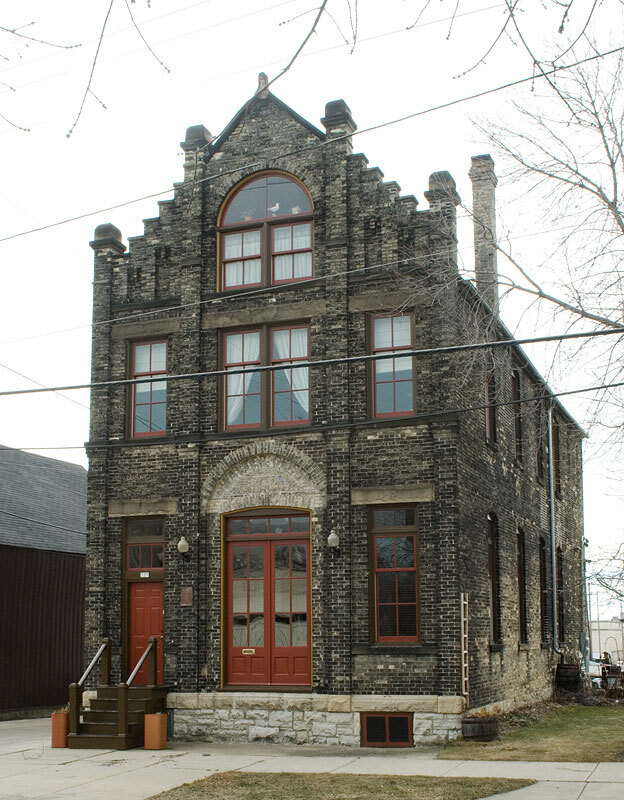 The Italianate building, which once belonged to former Milwaukee mayor Joseph Phillips, had been a rooming house since 1911. Other investors restored storefronts and homes. Gary Grunau and a group of property developers purchased the Schlitz Brewery campus. They converted the building into Schlitz Park, which now houses a variety of businesses and non-profit organizations. Many neighborhood factories and warehouses were repurposed into residences. The Weyenberg Shoe Factory was converted to condominiums, and the F. Mayer Boot and Shoe building became an apartment complex. Brewing returned to the neighborhood when Lakefront Brewery located on Commerce Street in the late 1990s. In 1981, residents dedicated to revitalizing and improving the neighborhood founded the Historic Brewers Hill Association (HBHA). Although they were criticized as gentrifiers who pushed out former residents, they were very successful in sparking redevelopment in Brewers Hill. By 1985, the HBHA won designations as both a local historical district and a national historical district for the neighborhood. ^ John Gurda, Milwaukee: A City of Neighborhoods (Milwaukee, WI: Historic Milwaukee Inc., 2015), 175. Reflecting the contested character of neighborhood boundaries in Milwaukee, Google Maps shows the western portion of the southern boundary of Brewer’s Hill along Pleasant Street, excluding the Schlitz complex campus. See Google Maps, accessed September 14, 2017. ^ “History of Brewers Hill,” Historic Brewers Hill Association website, accessed December 3, 2015. ^ Richard Stefanik, “Variety Marks the History of Brewer’s Hill,” Preserve Milwaukee (1995? ): 2. ^ Gurda, Milwaukee, 181-182; Lakefront Brewery, “About Lakefront,” accessed August 5, 2017. ^ “History of Brewers Hill,” Historic Brewers Hill Association, accessed December 3, 2015. City Clerk’s Office, “Historic Properties and Districts,” Official Website of the City of Milwaukee, accessed June 1st, 2016; Wisconsin-Milwaukee County, National Register of Historic Places website, accessed August 6, 2017. Gurda, John. Milwaukee: City of Neighborhoods. Milwaukee: Historic Milwaukee Inc., 2015.